The New York Times has called Leif Ove Andsnes “a pianist of magisterial elegance, power, and insight,” and the Wall Street Journal named him “one of the most gifted musicians of his generation.” With his commanding technique and searching interpretations, the celebrated Norwegian pianist has won acclaim worldwide, giving recitals and playing concertos in the world’s leading concert halls and with its foremost orchestras, besides being an active recording artist. An avid chamber musician, he is the founding director of the Rosendal Chamber Music Festival, was co-artistic director of the Risør Festival of Chamber Music for nearly two decades, and served as music director of California’s Ojai Music Festival in 2012. He was inducted into the Gramophone Hall of Fame in July 2013, and received an honorary doctorate from New York’s Juilliard School in May 2016. This Spring sees Leif Ove Andsnes in residencies with Matthias Goerne performing Winterreise, Die Schöne Müllerin and Schanengesang in Brussels and Paris and on tour with the Norwegian Chamber Orchestra performing Mozart piano concertos. He also joins fellow pianist Marc-André Hamelin for a U.S. and European recital tour of music for piano four-hands by Mozart, Debussy, and Stravinsky. Tour destinations include Seattle, San Francisco, Los Angeles, New York, Chicago, Washington, DC, London, Florence, Rotterdam, and Dublin, among others. He returns to the Boston Symphony for accounts of Rachmaninoff’s Fourth Piano Concerto on an all-Russian program led by Andris Nelsons, and heads back into the studio to make two new recordings, both due for release in 2017-18: a Stravinsky four-hands album, recorded with Hamelin for Hyperion, and a solo Sibelius collection for Sony Classical. Last season saw the release of Concerto – A Beethoven Journey, a documentary by award-winning British director and filmmaker Phil Grabsky that chronicles Andsnes’s epic four-season focus on the master composer’s music for piano and orchestra, which took him to 108 cities in 27 countries for more than 230 live performances. He also undertook major European and North American solo recital tours, and an international tour of Brahms’s complete piano quartets with Christian Tetzlaff, Tabea Zimmermann, and Clemens Hagen. Besides collaborating on Schumann and Mozart concertos with the Chicago, Cleveland and Philadelphia Orchestras, he performed with European ensembles including the Zurich Tonhalle and Leipzig Gewandhaus Orchestras, Munich Philharmonic, Bergen Philharmonic, and London Symphony Orchestra, where he was the subject of the 2015-16 LSO Artist Portrait Series. Summer saw him return to Lincoln Center’s Mostly Mozart Festival, before heading back to his homeland to launch the inaugural Rosendal Chamber Music Festival, where guest artists included Vilde Frang, Sol Gabetta, Matthias Goerne, and the Brentano String Quartet. Summer 2015 brought the conclusion of “The Beethoven Journey,” perhaps Andsnes’s most ambitious achievement to date. With the Mahler Chamber Orchestra (MCO), he led complete Beethoven concerto cycles from the keyboard in high-profile residencies in Bonn, Hamburg, Lucerne, Vienna, Paris, New York, Shanghai, Tokyo, Bodø and London, taking on further Beethoven collaborations with such world-class ensembles as the Los Angeles Philharmonic, San Francisco Symphony, London Philharmonic, and Munich Philharmonic. His partnership with the MCO was also captured on disc: The Beethoven Journey, their hit recording series for Sony Classical, proved a resounding success. The first volume, featuring Beethoven’s First and Third concertos, was named iTunes’ Best Instrumental Album of 2012 and awarded Belgium’s Prix Caecilia; the second, a coupling of the Second and Fourth, was recognized with BBC Music’s coveted “2015 Recording of the Year Award”; and the third, offering accounts of the Fifth (“Emperor”) and “Choral Fantasy,” was hailed in a five-star review as “performances of arresting maturity, stylistic acumen and utter delight” (Telegraph, UK). Issued together as a boxed set, the series was chosen as one of the “Best of 2014” by the New York Times and Süddeutsche Zeitung. 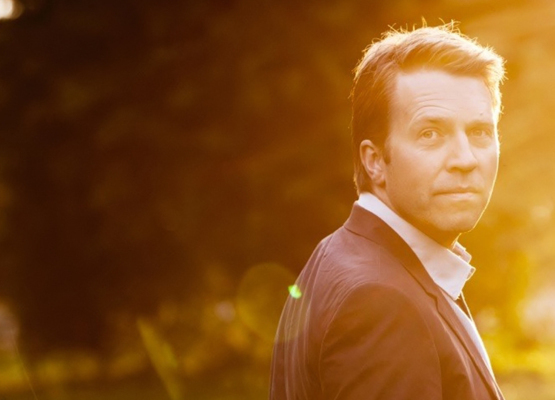 Andsnes now records exclusively for Sony Classical. His previous discography comprises more than 30 discs for EMI Classics – solo, chamber, and concerto releases, many of them bestsellers – spanning repertoire from the time of Bach to the present day. He has been nominated for eight Grammys and awarded many international prizes, including six Gramophone Awards. His recordings of the music of his compatriot Edvard Grieg have been especially celebrated: the New York Times named Andsnes’s 2004 recording of Grieg’s Piano Concerto with Mariss Jansons and the Berlin Philharmonic a “Best CD of the Year,” the Penguin Guideawarded it a coveted “Rosette,” and both that album and his disc of Grieg’s Lyric Pieces won Gramophone Awards. His recording of Mozart’s Piano Concertos Nos. 9 and 18 was another New York Times “Best of the Year” and Penguin Guide “Rosette” honoree. He won yet another Gramophone Award for Rachmaninov’s Piano Concertos Nos. 1 and 2 with Antonio Pappano and the Berlin Philharmonic. A series of recordings of Schubert’s late sonatas, paired with lieder sung by Ian Bostridge, inspired lavish praise, as did the pianist’s world-premiere recordings of Marc-André Dalbavie’s Piano Concerto and Bent Sørensen’s The Shadows of Silence, both of which were written for him. Andsnes has received Norway’s distinguished honor, Commander of the Royal Norwegian Order of St. Olav. In 2007, he received the prestigious Peer Gynt Prize, awarded by members of parliament to honor prominent Norwegians for their achievements in politics, sports, and culture. He is the recipient of the Royal Philharmonic Society’s Instrumentalist Award and the Gilmore Artist Award, and, saluting his many achievements, Vanity Fair named Andsnes one of the “Best of the Best” in 2005.